Berries are often hyped up as superfoods in the headlines you see at the checkout counter, and they get a lot of great press in Paleo circles because they’re one of the few fruits we haven’t dramatically changed through selective breeding to be larger and sweeter. Myth: berries are “superfoods” that will make up for an otherwise-bad diet. That whole concept is misguided. They’re healthful additions to a good diet, but they don’t “cancel out” a diet full of junk. Myth: to get the most health benefits, you need to go for some expensive jungle-growing berries that most people have ever heard of. Actually, you can save your money and get some impressive health benefits from the ones you can buy in the store. Myth: low-sugar berries are the only type of fruits we would have eaten before selective breeding. Actually, there are many very sweet wild fruits, and people in some areas during the Paleolithic probably would have had access to them. That’s especially true when they’re in season and you can get them without the intermediary of a long truck ride in from California or Mexico. So here’s a look at the health benefits of berries, and why you might want to skip the grocery store and go foraging for your own – it’s easier than you think! Other polyphenols with antioxidant effects, like anthocyanins, catechins, and flavonoids. Berries also contain some B vitamins and minerals, and some other nutrients depending on the berry. When you’re looking at the health effects of berries, it’s important to remember that neither mice nor isolated cancer cells are people. Extracts of antioxidants from blueberries might kill cancer cells in a test tube; this doesn’t actually mean that eating blueberries prevents or cures cancer in humans. These researchers found that eating a moderate amount of berries (around 150 grams, or 5.4 ounces) improved platelet function, HDL cholesterol, and blood pressure. 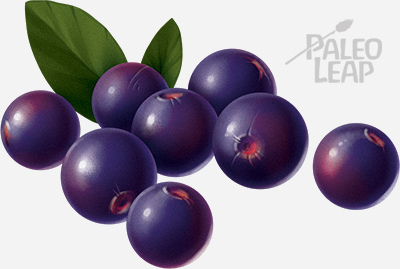 In this study, the researchers provided subjects with either a placebo or a beverage that contained 50 grams of freeze-dried blueberries every day (equivalent to 2.3 cups of fresh berries) for 8 weeks, and saw notable improvements in blood pressure, oxidized LDL, and a few other markers of metabolic syndrome. In this study, subjects with metabolic syndrome consumed either 50 grams of freeze-dried strawberries (equivalent to about 3 cups of berries) or a placebo for 8 weeks. 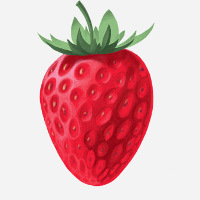 The strawberry group had significantly lower total and LDL cholesterol, and improved a few other markers of heart health. This study found that 25 grams of freeze-dried wild blueberries per day for 6 weeks reduced oxidative damage to DNA compared to a placebo. That’s equivalent to about a cup of fresh blueberries. If you were expecting any kind of berry to simultaneously cure diabetes, prevent cancer, and stop you from aging another day in your life, those studies are probably a little disappointing, but in the real world, that’s not too shabby! Strawberries: 12 grams for 1 cup, halved. Raspberries: 15 grams for 1 cup. Blueberries: 21 grams for 1 cup. You could easily eat that for dessert with some coconut milk while still allowing enough carbs for plenty of non-starchy vegetables throughout the day. What’s even better than berries? Berries that are local and in-season. They’re better for you, because they haven’t lost any nutrients during a long journey in a refrigerator truck (this can really do a number on the amount of Vitamin C and other antioxidants). And they’re often much more delicious as well, since those cross-continental journeys are just as dangerous to flavor as they are to vitamins. Want to see what’s available where you are? For readers in the US, this page has a geographically-organized list of resources including picture-heavy guides, people who can take you on tours, blogs from every corner of the country, Youtube videos, newsletters, and more. Head over, scroll down to your region, and take a look. Looking for a specific berry? This list of wild edibles (organized alphabetically and searchable) will probably have an entry on it. There are also a huge number of physical paper books that are often more useful than apps (since you can get them wet without a disaster). Just run a quick search for “wild edible plants + [your area]” and you’ll find something. Fresh berries are good for you. Fresh, local berries are even better for you. And if you pick them yourself, you can often get all that goodness for free! Be aware of what you’re picking and eating – definitely look up pictures before you go if you’ve never foraged for berries before – but if you’re looking for a good Saturday afternoon Paleo project, berry-gathering is a very tasty one, and kids love it.